Into the great wasteland of Hollywood’s language neutral, China-appeasing blockbusters there occasionally comes a movie which causes everyone to stop and take notice of what proper blockbuster filmmaking actually looks like. It’s that rare film which seems to have been born out of actual artistic instincts and not simply as a spreadsheet-pleasing widget to be pushed out in a specific fiscal quarter where it might spur toy sales. When we’re lucky enough to have witnessed such a film it’s incumbent upon us to stop and appreciate the minor miracle that a piece of moving cinema actually somehow managed to sneak out of the Hollywood machine without some clueless studio hacks noting it death or nervous producers caving into various commercial pressures. 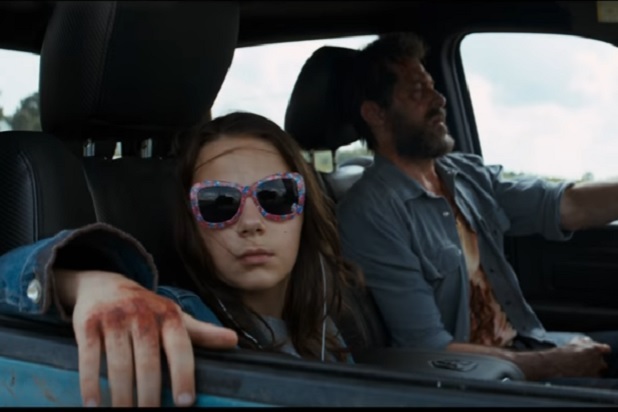 In 2017, that movie is Logan, which translated its modest artistic goals and minimal budget (by superhero movie standards, at least) into what is still one of the highest-grossing, best-reviewed and near-universally admired films of the year. Two months ago, I didn’t get it. I wrote a ho-hum review, too distracted by Logan’s similarities to various other films and caught up in whether or not the third act reveal of the villain, a younger, emotionless clone of Logan, stretched the reality of the film too far and conflicted with the tone. 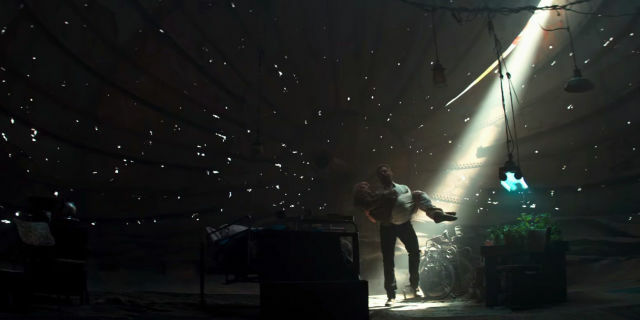 Now, Logan is on home video, and with each subsequent re-watch I fall in love with the film even more and better appreciate what Hugh Jackman, director/writer James Mangold and company accomplished – the first comic book movie with legitimate Best Picture potential since The Dark Knight. Through various interviews at the time of the theatrical release, Mangold laid out much of what went into the conception, writing and filming of the movie, and I summarized much of that at the time. Now the Blu-Ray is here and with it comes a director’s commentary and 71-minute long making of documentary, a treasure trove of heretofore untold insights into the challenges Mangold faced and overcame through judicious planning and masterfully covert digital effects. 1. 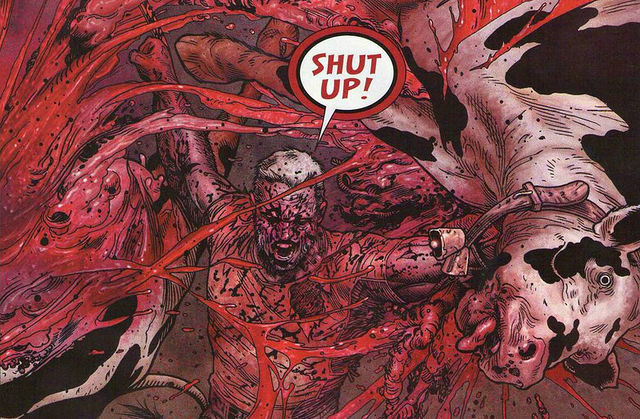 Logan was inspired by the graphic novel Old Man Logan. Old Man Logan was inspired by Unforgiven. Logan was also inspired by Unforgiven. Got it? Scott Frank [co-screenwriter]: In previous incarnations of the movie she was talking all the time, from beginning to end. It was a little wise-cracky relationship, sort of more expected. And I thought it would be better to fool the audience, no in terms of whether or not she speaks but in terms of her level of intelligence. Let’s think she’s animal, that she was created in this test tube and is this very feral creature. And then you gradually begin to see how much more aware she is of things, how smart she is, what she notices, and she’s a lot sharper than anyone, certainly, Logan, gives her credit for. Patrick Stewart: Both of Dafne’s parents are actors – an English actor whose work I’ve always admired, and her mother is a very fine and distinguished stage actress […] James showed me a scene of her’s from the audition, and she was playing the scene and it was very, very good. And then on the clip she asked the director if she could improvise the scene, and then she went into her own version of the scene in a mixture of Spanish and English. It was one of the most extraordinary bits of audition tape I’d ever seen. Note: Keen was among the approximately 1,000 Latino actresses between the ages of 9 and 12 who auditioned for the part, and was the only one who could act, speak both English and Spanish AND convincingly perform the fight scenes AND hold her own opposite Hugh Jackman and Patrick Stewart AND had an expressive enough face to play a mute character for half of the film. Mangold [director/co-writer]: When I first started writing the script I actually had them starting in Kentucky, and Charles was being kept inside a bourbon tank. And then at some point I moved it to the south of the border and that’s when [production designer] Francois [Audouy] and I started working on different looks. Francois made a model of the smelting plant, and in this model there was a water tower – I’ve got water towers in other films of mine. Bridges and water towers, I’m forever fascinated with. At some point in us talking about different arrangements for these buildings [the water tower] fell over, and suddenly looked like a spider with its legs sticking out or a dead insect of some kind lying on its side. Voila […] The reason I kept gravitating toward the idea of a tank is I wanted something that would echo cerebro and also something that could isolate or contain the power of his brain in some kind of reflective material that could reduce how many people he could hurt. Note: The plant was actually a relatively new, small water treatment facility they found near Albuquerque, New Mexico, and it was surrounded by 1.5 acres of empty field. It actually took the location managers 5 months to come across this location, but once they did they realized it was perfect. The production team then built on top of and around the water treatment facility, and the majority of the set we saw on film was built specifically for the movie. Mangold: When you make a movie rated R it resets everyone how they’re thinking about the movie. They instantly understand this is not a movie for children. So, suddenly they don’t expect you to make a movie that’s going to appeal to 9-year-olds with short attention spans. With that anticipation gone you are suddenly making a movie with more grown-up themes. Jackman: We were in the back of the car, and we finished this great scene in the car where we’re having this argument. Dafne, who is 11, was seating in her seat watching the scene, and when we called cut Patrick goes, “Uhhh,” and Dafne goes, “What’s the matter? Are you hot?” and he goes, “No, it’s just sad. I’ll never get to do that scene again.” She goes, “You’ve got lots of scenes left.” He goes, “No, you don’t understand, Dafne. You will understand one day that the hardest part about film is that when you get a great scene you like you only do it for one day in your life and then it’s gone.” He looked at her, leaned in and said, “Make sure you do theater because when you get a great scene at least you get to it for 6 months every night, and, then, you’re ready to let it go.” In that moment I saw the joy in this man’s performance, he reveled it and it shows. Mangold: There’s a lot of technology now where if someone is too bumpy with their camera you can run it through a program that steadies it. So, we did tests before we shot where we were crazy with the camera, like crazy shaking it, and then we ran it through these programs. Of course, once the camera is shaking that much [the program] can’t ever really bring it down, but you get all this beautiful smearing as the computer is trying to pull together an image from something so chaotic. So, the whole sequence is shot with a cameraman on a kind of vibrating robe, vibrating the camera like crazy, and then we run it through a process which takes all the shake out but you are left with this kind of smearing effect. Sorry, Dafne. This far, no farther! Hutch Parker [producer]: We had to do a little bit of trickery. We had to use doubles, some visual effects works to kind of communicate it, and we created sets were we could kind of double the environment. So, between all three of those little cheats we were able to pull it off. Mangold: It’s pretty elaborate special effects that hopefully does not look like a special effects scene at all just so we could walk her from the entrance to the elevator. Mangold: One of the production challenges of the New Mexico scenes is that I had long since lost Patrick Stewart to a stage show he was doing with Ian McKellan in London. We finished shooting Patrick Stewart in the first month. So, by the time we got to New Mexico I didn’t have him anymore. We’d already shot the interiors of the smelting plant in Louisiana when we had Patrick, but I had to integrate him into a fairly large set of scenes, both conventional scenes outside the smelting plant and pretty large scale action sequence at the smelting plant. [So the set behind Stewart for the exteriors we shot in Louisiana] was really just a metal fence, and the rest of it was digitally created using the New Mexico footage. The planning to do that is really just the planning of blocking the scenes in advance and knowing your scenes in advance and trying to cover. I think our visual effects team and production team did a very good job of making it seamless. Note: Similar trickery was used for the interior shots of the limo during the chase. Generally, if Stewart and Jackman are in the shot together it’s from them filming inside a limo in Louisiana with a green sceen in the background; if Stewart is not in the shot it’s from Jackman and everyone else filming the scene in Nex Mexico where what we see through the car windows is the actual vast nothingness of New Mexico desert surrounding the smelting plant set. Frank: I will say for me it was not about having a family because I’d been thinking about this character through two movies, and it was always about someone who was immortal becoming mortal and it was always about understanding this is what it’s like to be at the end. 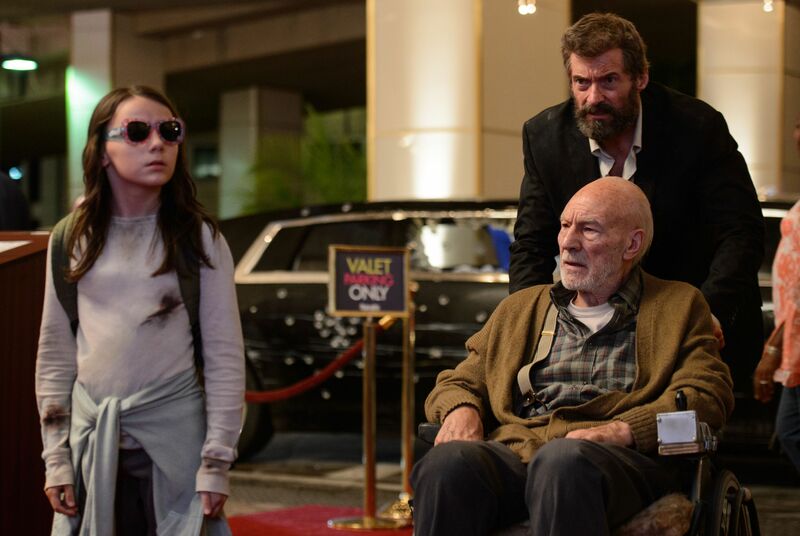 Mangold: I think in many ways the idea was to find the most memorable, gruff way for Logan to acknowledge that for all the years he’s lived there is something he didn’t taste until right now, and I think Hugh also found a way to take those worlds and really deliver.